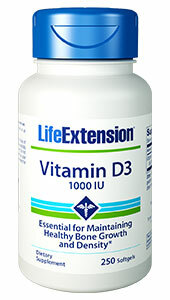 Vitamin D3 can be synthesised by humans in the skin upon exposure to ultraviolet-B (UVB) radiation from sunlight. 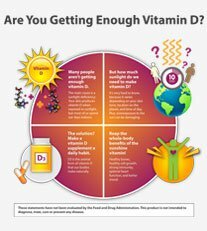 But, due to the winter season, weather conditions, and sun block, the body’s ability to produce optimal vitamin D levels may be inhibited. 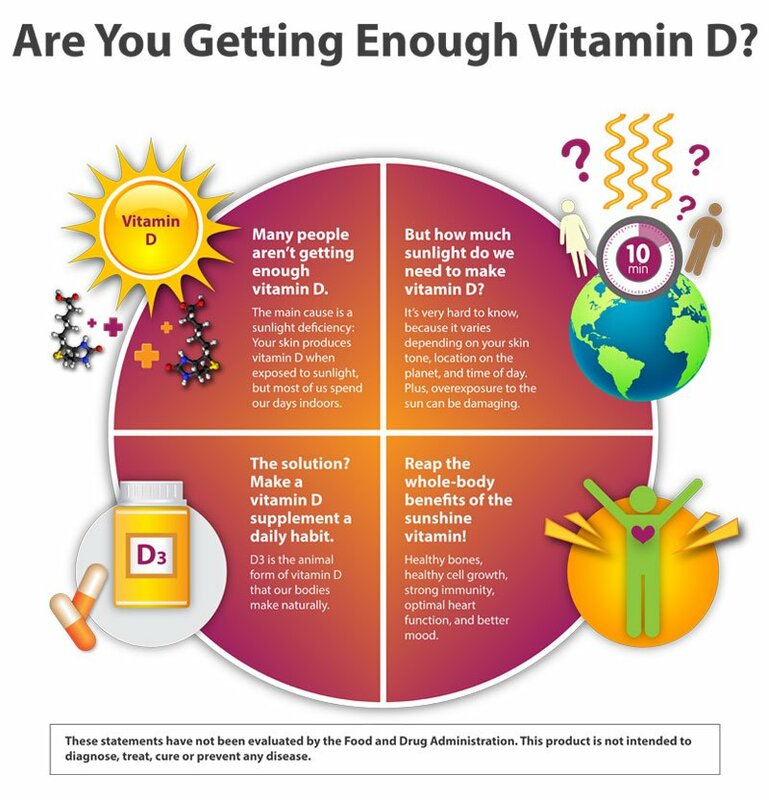 These factors point to the value of taking a daily vitamin D supplement. If your calcium supplement or multivitamin also contains vitamin D3, this soft gel is an excellent way to complement that intake and reach an optimum blood level of D3 for whole-body health!